“It’s the people that make the occasion” and we offer finishing touches to help make your special day perfect. Our personalised wedding favours are an age old tradition distributed to wedding guests to signify well wishes on the Bridegrooms new life, this is known as Bonbonniere. Today wedding favours and boxes have become an integral part of wedding reception planning. Wedding favours and party favours are diverse and usually compliment the theme or season of the event. 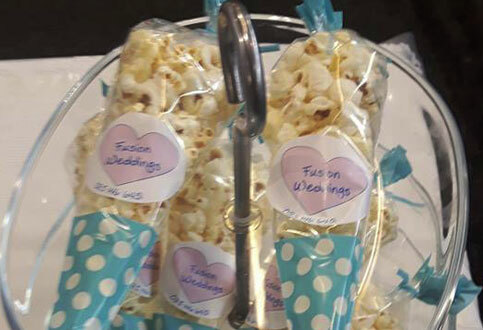 We offer four different favours to suit from our Tayto sandwich packs to popcorn cones and sweet cone along with our decadent belgian chocolate Heart in a box. 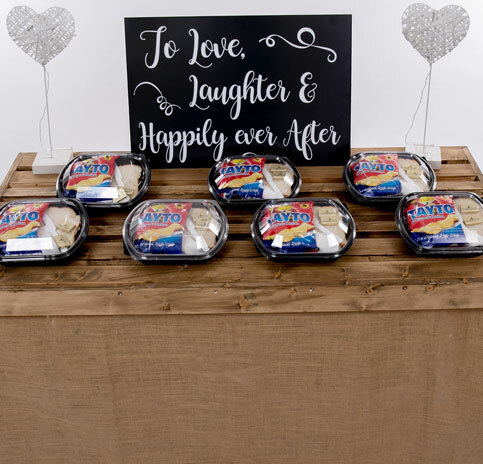 When the munchies start towards the end of a great wedding night rekindle an old favourite and treat your guests to one of our tasty Tayto Packs. Two slices of Fresh bread , 2 pieces real butter and a bag of fresh Tayto. Ahh you can nearly taste the sandwich as you read this. 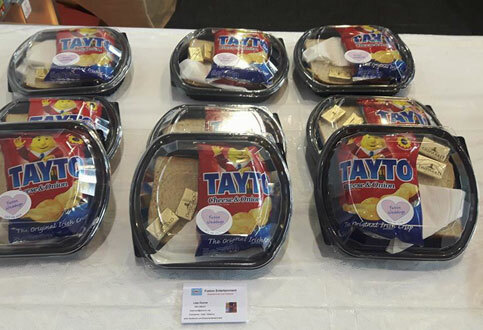 Our Tayto packs come with a personalised sticker of your choosing with a small thank you message for you guests. Prices start from just €2.10 Travel cost may apply. Enchant your guests when they open our candyfloss cone and they smell the sweetness of fresh candy floss and pick out fluffy pink wisps of happiness. 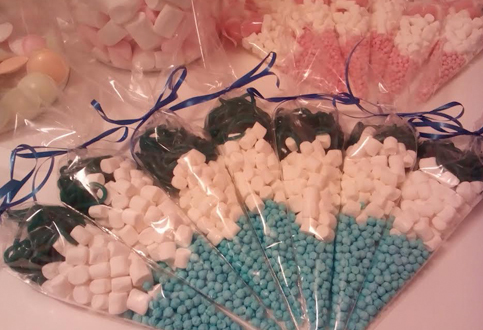 Our candyfloss cones come with a personalised sticker of your choosing with a small thank you message for you guests. Prices start from just €2.10 Travel/Postage cost may apply. 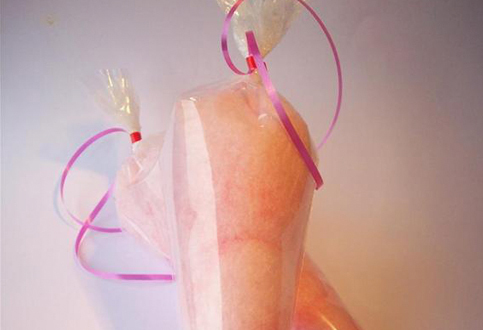 Your little popcorn cones will be hand packed, filled with your favourite flavour, and dressed to suit your occasion. Perfect table or suite favours. Our popcorn cones come with a personalised sticker of your choosing with a small thank you message for you guests. Prices start from just €2.10 Travel/Postage cost may apply. Want to make your special occasion just that little bit more special? Our sweet cone favours delights both young and old as they search through these cones for their favourite treat. Our candyfloss cones come with a personalised sticker of your choosing with a small thank you message for you guests. Prices start from just €2.10 Travel/Postage cost may apply. 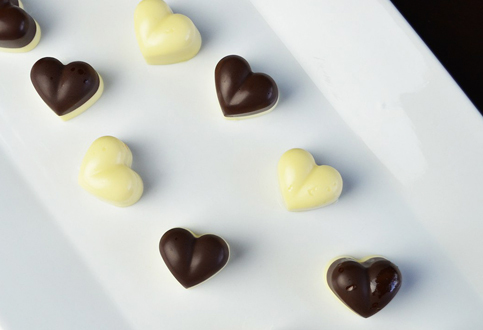 Our decadent Belgian chocolate hearts will melt in your guests mouth as the smooth creamy taste delights the senses. Comes in a gift box with personalised message of your choosing and themed to your wedding colour. Contact us for prices.